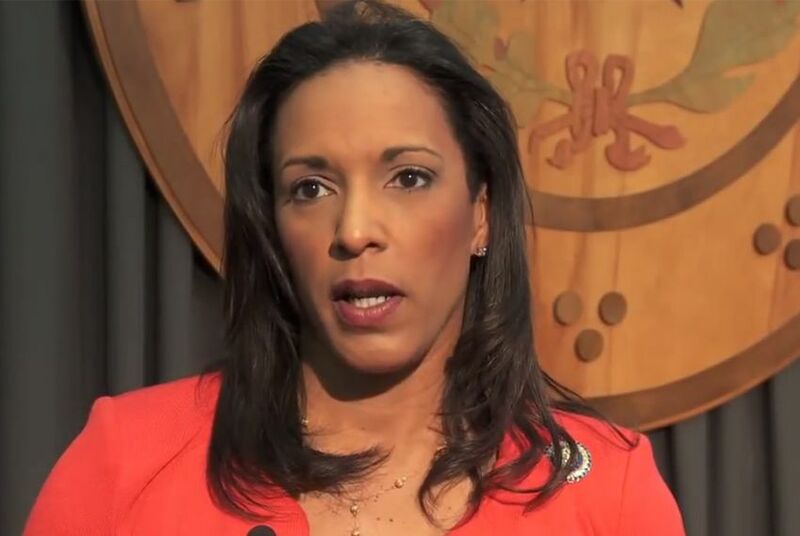 Two former staffers for state Rep. Dawnna Dukes say they found their work a hectic balancing act, fitting in legislative work with the Austin's lawmaker's ever expanding list of personal errands. Two former legislative staffers for state Rep. Dawnna Dukes say they found their work a hectic balancing act, fitting in official state work with the Austin lawmaker's expanding list of personal errands — picking up her favorite blueberry pomegranate smoothie at McDonald's, taking her dogs to the vet and, often, babysitting Dukes' daughter. Last week, The Texas Tribune reported that the State Auditor's Office is investigating whether Dukes improperly directed staff to work on state time for a nonprofit festival Dukes has spearheaded for the past 17 years. Dukes confirmed that staffers were asked to work on the annual African American Community Heritage Festival, scheduled this year for Feb. 27, and insisted there was nothing unlawful about the work. According to two staffers who spoke to the Tribune, work on the festival was just one of the 22-year veteran Austin Democrat's expectations. The staffers — a 34-year-old who resigned from Dukes' office in 2015 after three years and a 22-year-old who started as an intern in Dukes' office and lived in the lawmaker's home for three months last summer in exchange for helping Dukes care for her daughter — spoke to the Tribune on the condition they not be named. "At the end of session, she texts me, asking me to move into her house," said the 22-year-old staffer, who added that she was terminated by Dukes in January. In September, she had moved out of Dukes' home and later refused to continue shuttling Dukes' daughter between home and school. "I had probably not had a single real conversation with her, but she asked me, a stranger, to move into her house to help her while she’s sick. She’s my sorority sister, so I thought, 'Well, I’ll just help my sister. She’s in need, she has a little girl.' So I moved in." The young staffer, like Dukes, is a Texas A&M University graduate. Both were members of the Alpha Kappa Alpha sorority when they attended. "She said all aides do that kind of stuff, they all take care of the kids, you pick them up, you’re a chauffeur," the staffer recalled Dukes telling her. Dukes confirmed the housing arrangement. The legislative staffer was offered free housing and did not have to pay for utilities in exchange for babysitting work. Dukes was mostly absent during the 2015 Texas legislative session because of an Aug. 1, 2013, car accident. "I had a staffer who lived with me rent-free, and in exchange for living rent-free, they were being a nanny of sorts to my daughter," Dukes said. "They were very close friends with her." But Dukes' tenant said that caring for the lawmaker's daughter became a second full-time job, all while she was earning $3,000 a month as a legislative aide. The former staffer said she would make it to work by 10 a.m. after taking Dukes' daughter to work, then leave at 3:30 p.m. to pick her up. "Her teachers knew exactly who I was," the staffer told the Tribune. "There was a point where they thought I was the mom. Parents would ask me to set up play dates." Dukes said she considered the young staffer to be "like a daughter" and would loan her suitcases and other belongings. "She was with me all the time," Dukes said. "It was not as an employer, employee. It was as a friend, and more like a daughter. I would do her makeup, I would flatiron her hair, I would let her wear my clothes ... it was a friendship relationship." The workload was so much that the staffer moved out of Dukes' home on Sept. 1. But Dukes expected her to continue the nanny duties, the former staffer said. She said she told Dukes, "I can't do it. I’m drained, I want to do work. I want to be in the office and do work. I don’t want to be out doing this stuff." Dukes' reaction was not positive, according to the former staffer. "She was very upset with me," the former staffer said. "I called my mom and said, 'She said she might fire me, basically,' And she was like, 'She can’t fire you for not wanting to take her kid to school.'" Dukes said she never required her staff to assist with childcare, and staffers "volunteered" to provide rides for her daughter to and from school. Another former staffer, a 34-year-old who worked for Dukes for years, told the Tribune that she struggled with the ethics of handling domestic errands for her boss while being paid by taxpayers. "There are things that I’m doing that I’m not entirely sure I should be doing," said the more veteran of the two women as she recalled her years in Dukes' employ before departing last year. "Like picking her child up from school, or taking her child to school, or leaving work to go to her house to pick up a video camera to go to her child’s school to record her child’s performance because she couldn’t make it." Dukes said that she regularly invited staff members to her daughter's recitals. The state auditor's investigation was launched after Dukes' former chief of staff, Mike French, approached House leaders about the propriety of staff involvement in the festival Dukes sponsors. Dukes confirmed that her staff worked on the festival but denied it was their sole job. One ethics expert, attorney Buck Wood, said there is a big difference between having legislative employees do the odd errand and requiring them to do personal errands as part of their legislative work. He said he disagreed with Dukes' assessment that there's nothing wrong with having staff work on nonprofit work. "You can’t direct your staff to work outside the areas of their staff work," he said. "There's nothing wrong with her saying 'Gosh, I've got this event coming up and if y'all have time to come and help, I appreciate it.'" But directing them to do the work on non-legislative matters is, Wood said, "improper" and perhaps in some cases, illegal.